Export earnings from nine products identified by the Nepal Trade Integration Strategy (NTIS) as having high export potential swelled 10 percent in the first 11 months of the last fiscal year due to market diversification and quality improvement. According to the Trade and Export Promotion Centre (TEPC), Nepal exported NTIS products worth Rs29.98 billion during the period mid-July to mid-June in fiscal 2017-18, up from Rs27.33 billion during the same period in the previous year. The figure is higher than for the whole of fiscal 2016-17. Most of the agro products, yarns and hides and skins in the NTIS list saw a significant rise in their export value over the period. Polyester and cotton yarns recorded the largest increment in export earnings. Exports of these products rose 22.8 percent to reach Rs7.55 billion. Turkey, India, Hong Kong, Bangladesh and a number of Southeast Asian countries including Vietnam are the major importers of Nepali yarn. 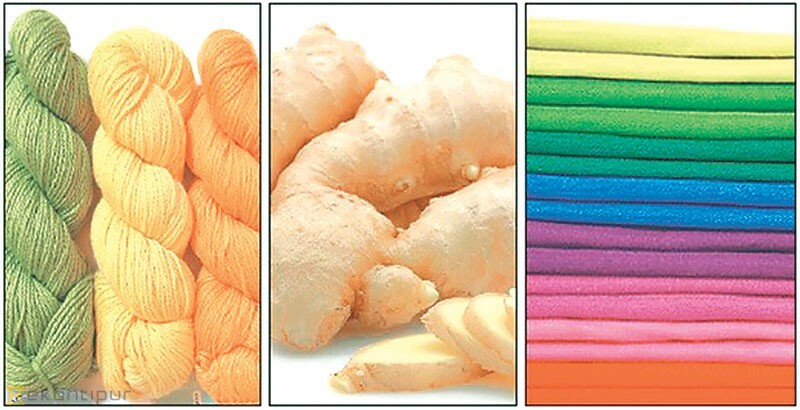 Similarly, earnings from ginger exports surged almost three-fold to Rs680.53 million. Narendra Kumar Khadka, president of the Nepal Ginger Producers and Traders Association, said improved quality, relaxation of restrictions imposed by India and market diversification helped increase export earnings from these agro products. “Shipments rose mainly in the last six months after Indian authorities removed the Goods and Service Tax on ginger and provided easier access to Nepali ginger into the Indian market,” said Khadka, adding that traders also fetched good prices this year compared to the past. Recently, the Indian government removed Nepali ginger from the list of restricted items. According to Khadka, traders have also started exporting their products to Bangladesh. Likewise, export earnings from tea surged 23.4 percent to Rs2.91 billion. Nepal has launched Nepal Tea, a collective trademark for Nepali orthodox tea, to promote the commodity in the international market. Nepali orthodox tea has been gaining popularity in the international market because of its quality, aroma, taste and aftertaste, according to Sheshkanta Gautam, executive director of the National Tea and Coffee Development Board. Germany, India, Japan and South Korea are the key buyers of Nepali orthodox tea. Of late, demand for Nepali tea has swelled in China too. Similarly, large cardamom observed a notable 23.4 percent rise in export value. Export earnings from the agro product reached Rs4.61 billion during the review period. Meanwhile, exports of hides and skins and medicinal herbs also increased by 13.7 percent and 2.3 percent to Rs777.73 million and Rs992.10 million respectively. However, the export of three NTIS products—footwear, pashmina and woollen products—went down in the first 11 months. Footwear shipments declined 9.6 percent to Rs1.09 billion, pashmina shawl fell 8.4 percent to Rs2.01 billion and woollen carpet declined 4.3 percent to Rs6.43 billion. The government revised the list of NTIS products in 2016. It has aimed to maintain the export of merchandise goods listed under NTIS to 4 percent of the Gross Domestic Product by 2020.